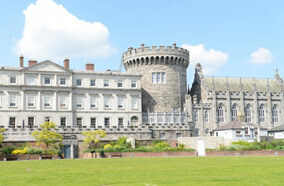 Dublin, the capital of Ireland and the largest city in the country, is among the leading vacation destinations in Europe. It’s history dates back to 140 AD, and it is also referred to as the “Town of the Hurdled Ford” by most locals. Home to many famous musicians, this lively and dynamic city allures scores of tourists from across the world every year. Many airlines provide Cheap Airfares to Dublin. There is plethora of attractions that are bound to mesmerize the visitors. 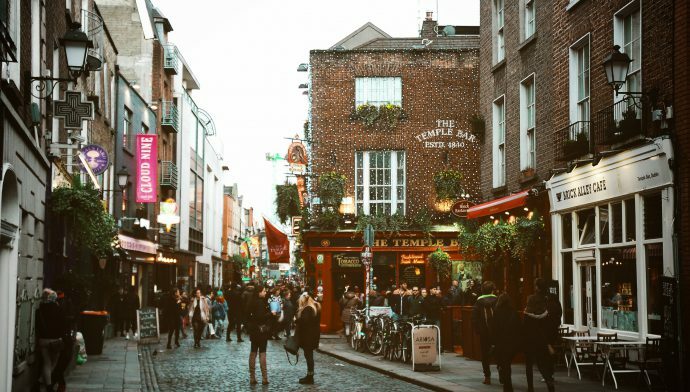 Take the help of our Dublin City Guide to see some of its well known attractions, such as Mansion House, Millennium Spire, National Museum of Ireland, Dublin Castle, Christ Church Cathedral, Guinness Brewery, Trinity College, Book of Kells, Stephen’s Green, Cathedral of St Patrick. Other popular names on the list include Hugh Lane Municipal Gallery of Modern Art, the National Gallery of Ireland, Dublin Writers Museum, Olympia Theater, Heraldic Museum, Phoenix Park, Merrion Square, and the Royal Hospital Kilmainham. Saint Patrick's Cathedral in Dublin is also known as The National Cathedral and Collegiate Church of Saint Patrick, Dublin. It was founded in 1191, and it is called Árd Eaglais Naomh Pádraig in the Irish language. It is also the largest church in Dublin and is popular for its spire, which stands tall at 43-meter. Dublin can be best visited during the months of May through September. The days are longer and warmer during these months offering ample sightseeing opportunities to the tourists here. The city is beautiful, and you may want to visit it anytime of the year. In any case, do not miss an opportunity to explore the city! 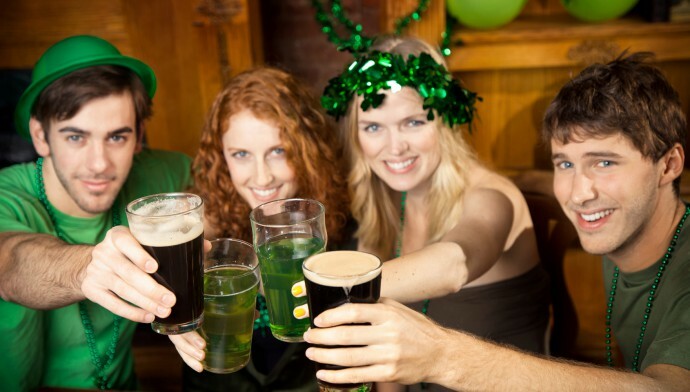 You will find plenty of restaurants in Dublin serving traditional Irish food. 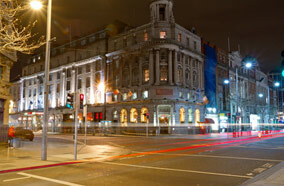 Some of the finest restaurants in Dublin are found in places like Parliament Street. Some of the best eating joints in the city include Sabor Brazil, Arch Bistro, The Old Storehouse, Pablo Picante, Queen of Tarts, Restaurant Patrick Guilbaud, Beaufield Mews, Ananda Restaurant, The Palace, Hedigans The Brian Boru, Marcel's, and Banyi Japanese Dining. You can step into any of these restaurants and savor a local delicacy or your favorite pick. Pablo Picante is a popular place with the locals and tourists. Victorio Verde is a famous offering, which is made of feta cheese, roasted vegetables, fresh long-grain rice, black beans, freshly-made salsa in a flour tortilla, and guacamole. Another favorite pick is El Classico made of marinated grated cheese, freshly-made salsa in a flour tortilla, roasted steak, fresh long-grain rice, and black beans. Dublin Airport serves the capital city of Ireland. Carriers like Aer Lingus, Virgin Atlantic, China Airlines, Lufthansa, Turkish Airlines, Air France, Iberia, Air Berlin, and Luxair offer business class flights to Dublin from different parts of the world. Travelers should book tickets in advance to benefit from low fares. Last minute bookings are always expensive. Therefore, it is suggested that travelers must plan their trip and book tickets ahead of time. The city offers a wide range of accommodation options. 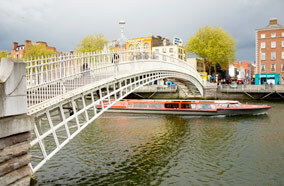 You will find most luxury hotels on the south side of the river in Temple Bar and around Trinity College. 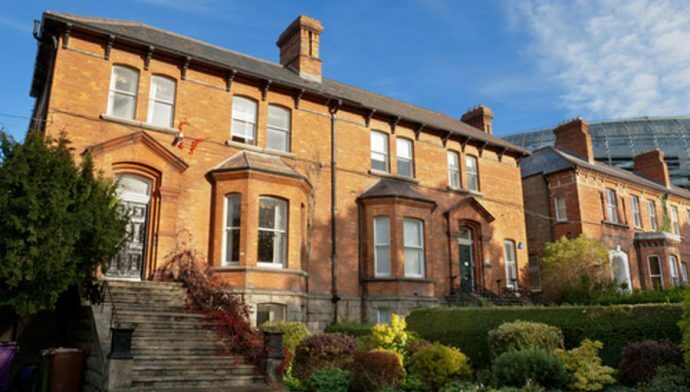 For inexpensive, mid range cheap hotels in Dublin, visit the area around St. Stephen's Green and on the Northside. It is a good idea to book a budgeted accommodation at low rates and utilize that money on some adventures instead.